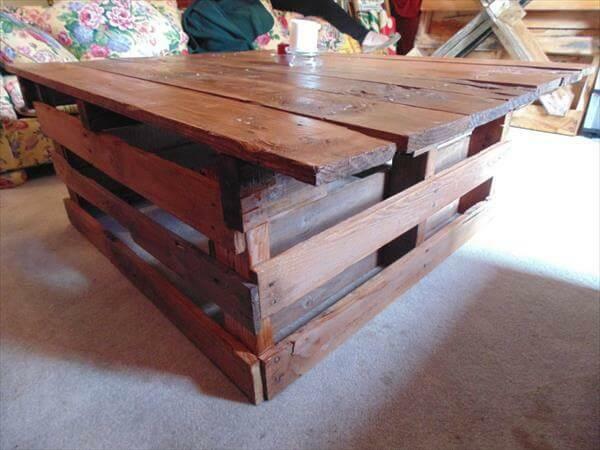 Make this incredibly easy pallet coffee table with a crate look. 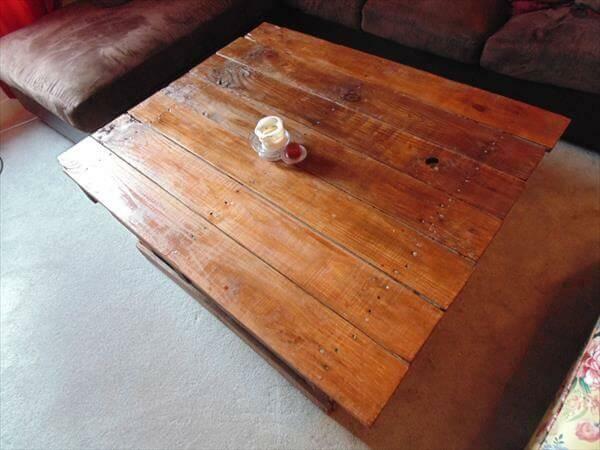 get some good pallet wood and pull out the top planks. Check them for bugs and clean them. The base is a frame with boards nailed at equal measure. 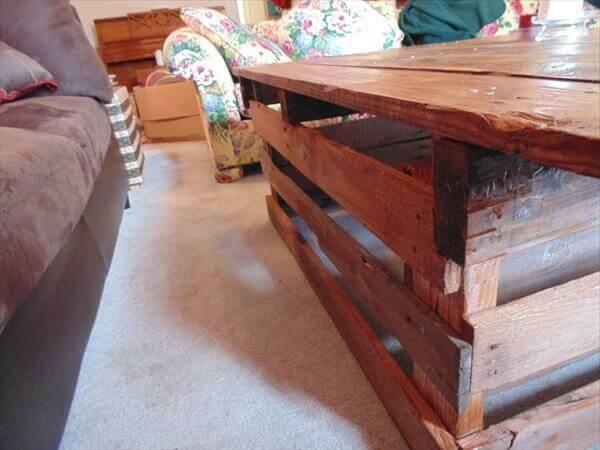 Next, place the top frame and nail in the pallet planks that you have prepared. Sand the whole table for a good muscle buildup. Get your varnish out, layer it generously and let it dry. Place it on a plush carpet in the center of your room. Decorate the table with a slim white vase for a classic barn look.